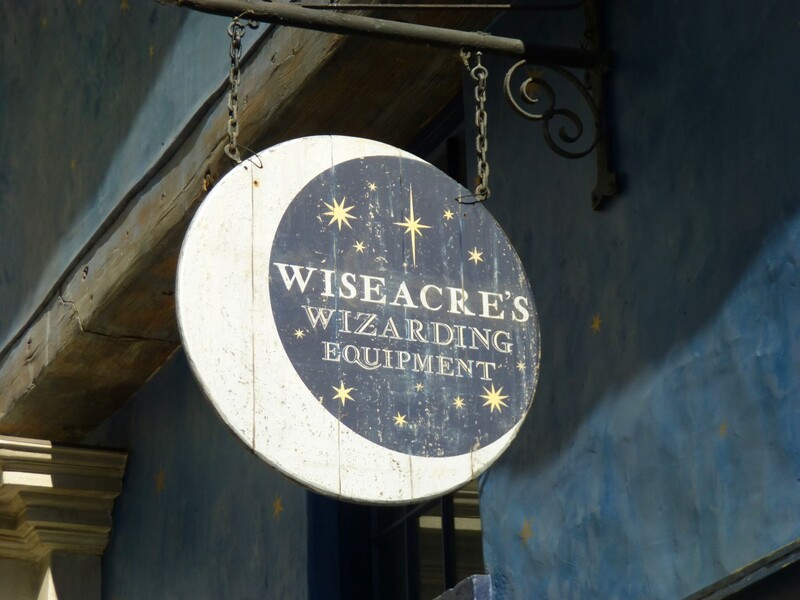 At Wiseacre's Wizarding Equipment, visitors will find a variety of wizarding wares and essential supplies including crystal balls, telescopes, binoculars, armillary spheres, compasses, magnifying glasses, moon charts, globes of the moon, crystal phials, and hourglasses. And don't miss the unique selection of apparel and accessories from your Hogwarts house. 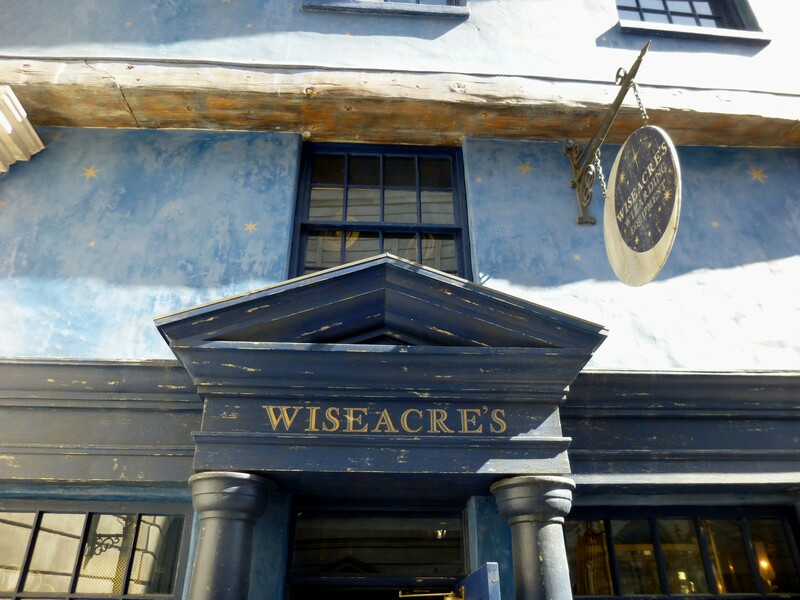 In addition to the wizarding equipment, this is also a great shop for finding Hogwarts Express merchandise and souvenirs based on all of the Hogwarts houses. Some of the wizarding equipment seen above the shelves were constructed using pieces of the boats from the old JAWS ride. 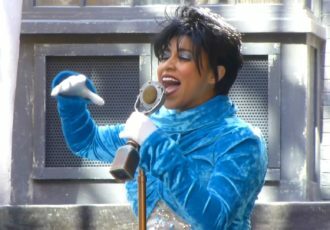 The JAWS ride closed to make way for Diagon Alley, and this is one of several homages placed here when the new land opened. Parts of the boats' steering wheels and other metal parts can be seen as part of telescope decor.